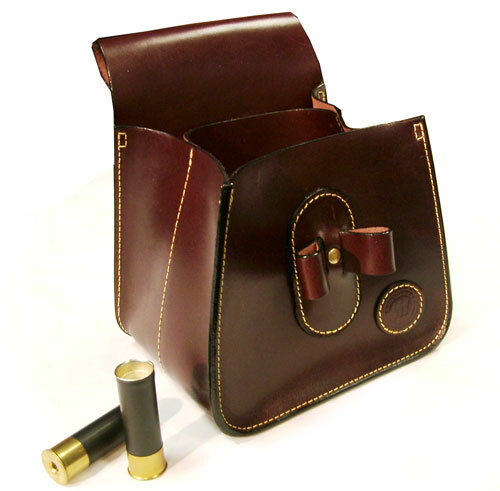 DIVIDED SHOOTING POUCH. COWHIDE LEATHER. OUTER TWO SHELL HOLDER. CAN BE COMBINED WITH BELT.